This is the story of seventeen-year-old Prenna James. She immigrated to New York when she was twelve. But there’s something unique about Prenna – she didn’t come from another country, she came from the future. Prenna, along with a group of others , traveled back in time to escape a deadly mosquito-borne blood plague that nearly wiped out the population. The time travelers are required to live by a very specific set of rules and no one outside their community can know they are from the future. They’re not to interfere with history, fall in love with anyone other than their own kind or ever reveal where they are from. Then Ethan Jarves, a citizen of the present day, enters the picture. Defying everything she’s ever been taught, Prenna falls for him and begins altering history. 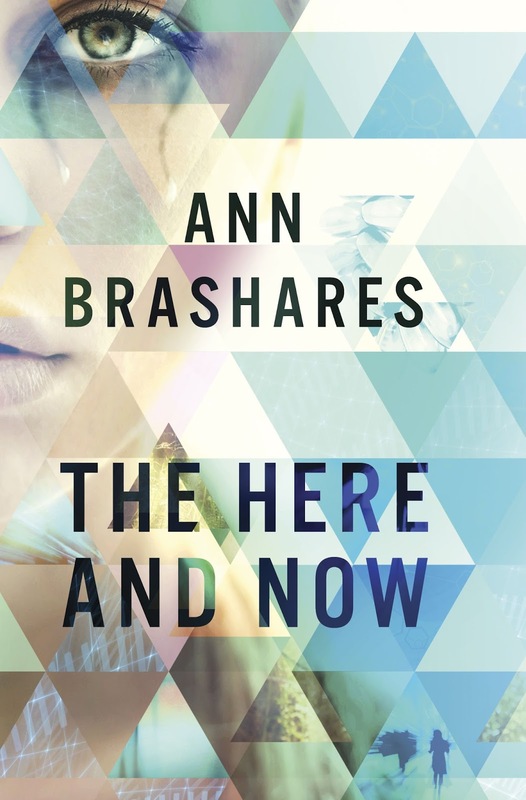 Ann Brashares, best known for her New York Times Bestselling series The Sisterhood of the Traveling Pants, delves in to new territory in The Here and Now. Is it dystopian? Yes. Are young adult readers growing weary of Hunger Games knock-offs? Definitely. However, Brashares has created a story that is distinctly different from the usual and it’s well worth a read. The story line is plausible – even today we worry about mosquito-borne illness transmitting diseases to humans and it’s not unimaginable that a virus transmitted by an insect bite could wipe out an entire population. It’s also a brisk read and the events that unfold throughout the 250 page book move quickly, keeping the reader engaged until the very end. In a genre where it’s normal for 500+ page books, it’s a lighter read and a welcome change from other more lengthy titles that have been published in recent months. The biggest complaint with the story is when Prenna and Ethan go on the run, things conveniently and unrealistically fall into place without any major obstacles stopping them from their mission. A few questions will arise near the end about how the changes the two make in the present will affect the future, but Brashares does not take the time to go down that avenue with her story. Overall, The Here and Now is a solid choice, even if it’s a bit late to the dystopian game. That was my biggest complaint of the book: how everything fell into place. “Oh look, it’s a glass cutter in my pocket.” Great review, though. Thanks.